This year, Safe + Sound Week takes place between August 13 and August 19. Safe + Sound Week is a combined effort that OSHA has created to provide safe work practices to industry groups and organizations. The week-long event includes different workshops and events that are available both in-person and online. The goal of the events is to promote a safe work environment and ensure OSHA compliance. What Does Safe + Sound Week Have To Offer? This year, OSHA has invited organizations of any size and any industry to participate in the different events and workshops available during Safe + Sound Week. The events are open to the public. You can see a list of OSHA’s scheduled events for the week here. 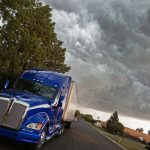 What’s more, safety organizations that are participating in the week-long event have released papers that are available to help create and maintain an improved safety program for workers. Osha has also made a free webinar available as a part of the Safe + Sound Week event. The webinar will run for 90 minutes and is titled Three Core Elements of Effective Safety and Health Programs. The partners that have helped to make Safe + Sound Week possible include the National Safety Council (NSC), the American Society of Safety Professionals (ASSP), the American Industrial Hygiene Association (AIHA) and the National Institute for Occupational Safety and Health (NIOSH). Why Consider Participating In Safe + Sound Week? The top commodities shipped in the U.S. are natural gas, asphalt, and Coca-Cola. You can never be too safe when it comes to working with either one. By participating in Safe + Sound Week, you can learn more about safety procedures from different industries. What’s more, you get to refresh on the safety information you may already know to make sure you know the best practices. 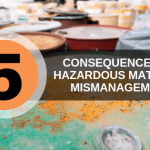 Another great way you can refresh your knowledge on hazardous waste safety information is by re-taking your hazardous waste certification training online. OSHA and EPA standards change every year. And it’s a good idea to stay up to date with what’s happening. This ensures not only your business is up to code but also that you and your employees are working safely and effectively. 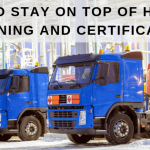 If you’re working with hazardous wastes and you need to get your hazardous waste certification training online, Hazmat School has what you need. 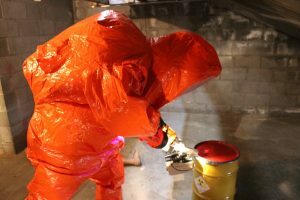 To learn more about our hazardous waste certification training online, 24 hour HAZWOPER training, or our RCRA training online, contact Hazmat School today.